Tired of the rat race? Hate that morning drive? Toni Price doesn't worry about it anymore. Price is a customer service agent for an insurance company, but not in a downtown office. She is one of 8 million Americans who now work from home, according to the US Census Bureau. "This is Toni, how can I help you today," she was asking a customer when we stopped by to visit. Karen Hill, meantime, is an accountant who two years ago gave up her suburban office building for the comfort of her home. "I just need to talk to you for a few minutes about this audit I've been working on," she was telling a client when we saw her. Hill, a mom of an 11-year-old girl, says she loves the flexibility working at home provides her. "No, I don't miss the commute, and since I don't have that commute I have found it easier to work out every morning," she said. She can take breaks to care for her daughter, or the family dog, or to just run to the grocery store. "If you have a doctor's visit during the day for one of your children or yourself, there's just flexibility," she said. She works through Flex Jobs , a Denver-based company that's one of the top recruiters of home-based workers. Flex Jobs charges a fee of $14 a month to search its boards. But once you are a member, you can apply for jobs with dozens of different companies including magazine editing, engineering, event planning, legal work, or accounting, like Hill. And it even feels like a real office. Her screen shows her live in a virtual office building that looks like a Roblox video game, complete with her own little office. "I've complained because I don't have a window," she said. There's a virtual meeting room for team meetings. "We also have a bar and lounge because we're accountants," she said. Toni Price works her insurance job through Sykes Home , a Tampa-based company that handles call center work for hundreds of companies. The best thing about it for her? "I don't have worries about going out, commuting and its a work balance that's very important to me." Price, who recently married and moved from the Philippines, loves being able to spend time with her husband during the day. "I have my lunch and he's at home, and we can do lunch together," Price said. While job consolidators, like Flex Jobs, will charge a fee to search their boards, specific companies (like Amazon) do not charge anything to apply. Or try a job consolidator like FlexJobs or Rat Race Rebellion, that connects you with hundreds of potential employers. Sure, working from home is not for everyone. If you love the gossip and camaraderie of an office like Dunder Mifflin, you may hate it. If you like dressing up like Don Draper of Mad Men every morning, you may hate it. But 5 percent of Americans, especially busy moms like Karen Hill, now work from home, and appreciate the time savings with no commute -- and no water cooler. "I actually find I get more done this way," she said. "Because I used to joke and say when I go into the office it's like a black hole." A company that wants you to pay several hundred dollars for "supplies" upfront. A company that hires you on the spot with no information from you. A company that sends you a check for several thousand dollars before you start work (the check is always fake). 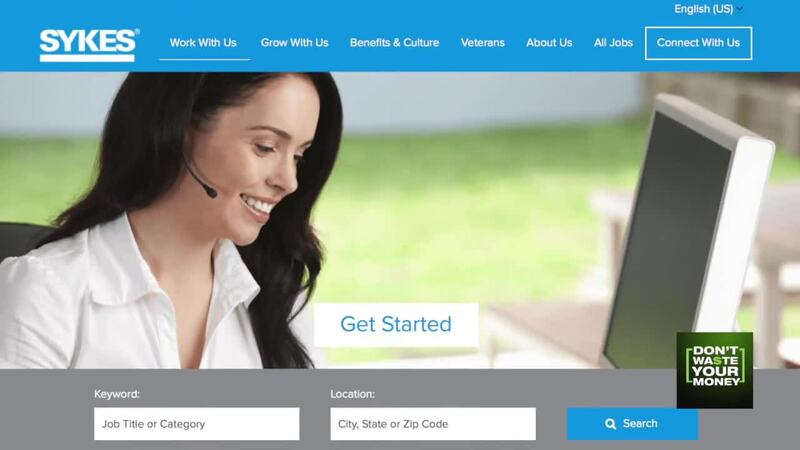 A company you've never heard of that wants your Social Security Number. Be careful in your hunt, so you don't waste your money.